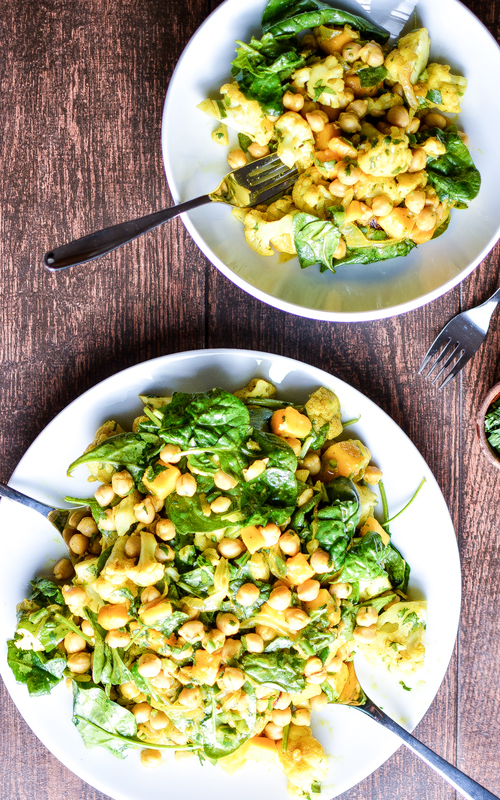 Chickpea, Mango and Curried Cauliflower Salad: a refreshing and delicious appetizer or dinner recipe! Thinly sliced sweet yellow onion is cooked in a hot pan with an abundance of middle eastern spices. It is then tossed with chickpeas and warm cauliflower that has also been cooked in warming spices. It then sits for a couple of minutes to allow the flavors to meld. Mango, fresh greens, jalapenos and cilantro are thrown into the mix. 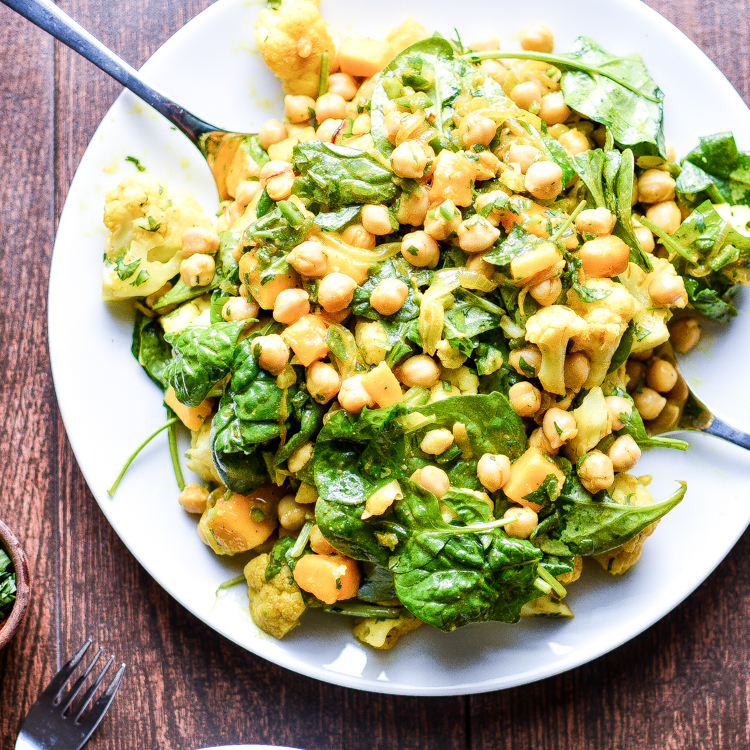 Tossed to evenly distribute the ingredients, this chickpea, mango and curried cauliflower salad is ready in under an hour and is the perfect side dish or appetizer recipe! Good morning, friends! I hope your weekends are going well, and you are enjoying an abundance of sunshine while you still can! We have had a pretty relaxing weekend around here. We did a pretty brutal trail run in which I almost died. It wasn’t that it was a crazy number of miles. I think in the end it only was like 9 miles (we got lost – so who knows), but the elevation gain was out-of-control. Like 1000s of feet out-of-control. Coming from a place where hills were basically non-existent (10s of feet), and moving to a place that has it’s fair share of mountainous terrain (1000s of feet) has not been smooth sailing. I’m also not used to these crazy trail runs. I’ve always been a road runner. If any of you are big into running, you know what I’m talking about. These two ways of running are like two completely different sports. Different shoes, different technique. It’s like mountain biking and road cycling. It’s not just about time when you’re running consistent 20% grade switchbacks and rocky scree slopes (click for definition). Scary, right?! You watch, I’ll be running 50-milers in no time. That’s what practice is for right?! … yeah, we’ll see about that … ha, what have I gotten myself into?! Because I have seriously upped my running game lately, I have been extremely hungry. I have been eating literally like a cow. I can’t stop, and I won’t stop to be honest. In addition to keeping my calorie-intake high, I’ve been trying to get as creative as humanly possible when it comes to our nightly dinner salads. Normally, it’s pretty plain and simple. Not that I hate plain and simple. My idea of a perfect before-dinner salad contains whatever fresh green I found at the farmer’s market the Friday before. It’s usually decorated with carrots, cucumbers, almonds and goat’s cheese. Pretty plain, I know. This is why I’ve been seriously trying to step up my salad game. This chickpea, mango and curried cauliflower salad was born after I could not pass up the mangoes at the grocery store. They were literally SOOOOO perfect. As I was flipping through one of my favorite vegetarian cookbooks (Plenty More – By Yotam Ottolenghi), I came across the perfect salad that highlighted mangoes. This recipe is inspired by that recipe. It’s so perfect you guys. Make it this summer! It’s light, refreshing and super addicting! In a small bowl, mix the curry powder, sugar, ground mustard, coriander, turmeric, cumin, 1/2 teaspoon kosher salt and 1/4 teaspoon of black pepper. Set aside. In a large nonstick skillet, add the olive oil. Add the onion and cook for about 6 minutes over high heat. Add the spice mix and turn the heat down to medium-low. Cook for another 6 minutes. Transfer to a large bowl, and add the chickpeas to the same bowl. Leave the pan over medium heat. Add the cauliflower to the same pan that cooked the onion. Add more olive oil if needed. Cook for about 5 minutes or until the cauliflower is coated in the remaining spice mixture and is cooked through. Transfer the cauliflower to the bowl with the onion and chickpeas. Let sit at room temperature for about 20 minutes. To the bowl, stir in the mango, jalapeno, cilantro, lime juice, spinach and arugula. Toss so that the ingredients are evenly dispersed. Adjust seasoning to taste and serve immediately. Dried chickpeas may be substituted for canned. Soak them in water overnight and then simmer over medium-low heat for about an hour, or until they are soft. Drain and set aside. I’m loving the cumin, mustard, and coriander as well as the freshness of the mango! So delicious and unique- pinning! Oh this salad looks just perfect, Justine! This is definitely calling my name. Love the chickepeas and mango in here! Love this salad! Lots of my favorite ingredients all tossed together and then served nice an cool. Thanks! Such a great idea! I have never made curry before, kinda freaks me out. I think I’m scared to mess it up! The flavors in this sound amazing! You are totally inspiring me to give it a try! Do it! It’s soooo easy! 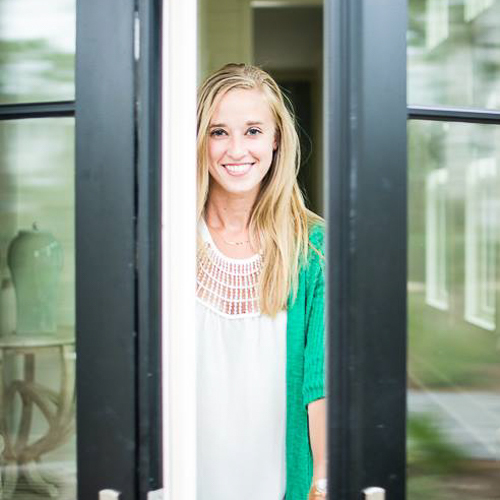 Thanks, Krista! What an amazing dish! Although it’s been many years, I can’t believe that at one point I didn’t like mango. Now? I adore it! Your dish is lovely! This does look light and refreshing! My kind of salad and love the addition of mangoes! This is brilliant! I’ve only had curry once, but I loved it! This looks amazing! I love the sunny color of this salad! And I would probably die if I had to run at that elevation, since I’ve been living at sea level for like 10 years now. GAH! 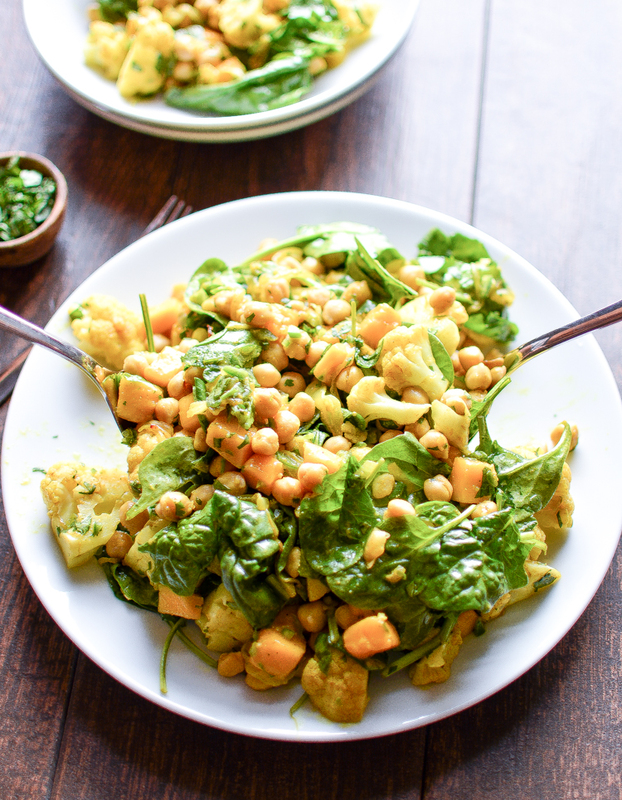 I love the flavors in this salad and chickpeas are so tasty, I could eat them all the time. What a great salad for lunch or dinner. I still die, and I live here but that’s ok. Thanks pretty lady! I’m so happy you enjoyed the recipe, Nicki! Thanks so much for trying it out!